Millennial and Gen Z consumers in the U.S. are rapidly adopting non-traditional care models, such as retail clinics, virtual and digital services, according to results of an Accenture survey of 2,000 consumers. – When considering traditional in-person care, millennials (ages 22 to 38 in 2019) were two to three times more likely than baby boomers (ages 55 to 73) to be dissatisfied with: the convenience of appointment times (16 percent vs. 6 percent); the location/channel of care (13 percent vs. 4 percent); the effectiveness of the care (12 percent vs. 4 percent); and whether the doctor prescribed the medication they expected (10 percent vs. 5 percent). – Slightly more than half (55 percent) of Gen Zers and two-thirds (67 percent) of millennials said they have a primary care physician, compared with 84 percent of baby boomers. Without a primary care physician, some millennials are seeking some types of routine medical services from retail clinics (41 percent) and virtual care (39 percent). Orion and Propeller Health have announced a partnership to connect Orion’s Easyhaler line of inhalers for asthma and COPD to Propeller’s digital medicine platform. Propeller and Orion will partner to develop a custom sensor for Easyhaler, which will attach to the inhaler and pair to Propeller’s mobile app to track medication use and provide personal feedback. Development begins in 2019, with clinical trials and commercial roll-out to follow. This partnership expands Propeller’s presence in Europe, where Orion is the market leader in Finland and covers almost all key European markets. 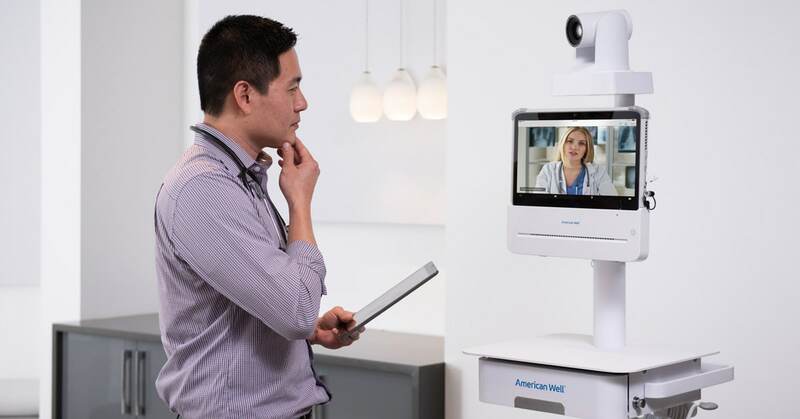 American Well launches American Well 250 Cart, a multi-functional telehealth cart that will enable health systems to digitally load-balance clinical services for on-demand and scheduled visits, leveraging both in-system and cloud-network providers and specialists. The American Well 250 Telemedicine Cart is an FDA Class I registered medical device that enables access to providers either via the Cloud, beyond a health system’s current network, or the health system’s own providers. Clinicians can start a telehealth consult with one click and integrate peripheral images seamlessly into the telehealth consult. The pan-tilt-zoom camera option on the 250 cart delivers optimal conditions for remote providers to better diagnose and recommend treatment for the patient, and embedded remote monitoring tools ensure the cart is ready for use at all times. According to a new survey released today, only 10 percent of patients prefer to receive physician communications via patient portals, whereas twice that many (19.6 percent) favor receiving information via secure text messages when in-person and phone calls are not an option. The new survey, conducted by DrFirst, also found that more than 90 percent of respondents would like the ability to communicate via secure text messaging with a family member’s care team if that loved one were ill.
Boehringer Ingelheim (Canada) Ltd. and IBM Canada announced today announced their plans to explore the use of blockchain technology in clinical trials. Boehringer Ingelheim (Canada) Ltd. and IBM Canada aim to test whether blockchain technology in clinical trials provides a decentralized framework that enables data integrity, provenance, transparency, and patient empowerment as well as automation of processes, ultimately improving trial quality and patient safety at a reduced cost. IncludeHealth, a digital health & wellness company, announced its collaboration with HealthPartners Neuroscience Center in St. Paul, Minnesota to launch a first of its kind neuroscience exercise program. The new pilot called ‘Muscle2Mind’ program will assess the feasibility of patients with a diagnosis of Mild Cognitive Impairment or early Alzheimer’s disease, and the patients’ care partners to navigate a supervised exercise program. The 3-month Muscle2Mind program includes 5 pairs of participants, consisting of a patient with Mild Cognitive Impairment or early Alzheimer’s disease and their care partner. The pairs will utilize IncludeHealth’s equipment and technology under the supervision of an exercise physiologist. Deloitte and Orbita are working together to transform the patient journey using DeloitteASSIST and the Orbita Voice™ platform. DeloitteASSIST is a voice-enabled patient communication solution where patients request assistance without the need to press a button. Simply by speaking their request, nurses are alerted to their need, which routes requests to the right resource to meet the patient’s needs. DeloitteASSIST reimagines the patient assistance journey by facilitating data-rich communication pathways between the nurse and the patient. Change Healthcare today announced Claims Lifecycle Artificial Intelligence, a new capability being integrated across the company’s portfolio. Claims Lifecycle Artificial Intelligence is a new capability that integrates artificial intelligence across the Change Healthcare network, solutions, and services to help providers and payers realize new efficiencies. Third-party app Heart Analyzer announced it has added live heart rate support, improved complications for Apple Watch Series 4 users, and more. With support for live heart rates, Heart Analyzer will now record your heart rate in real-time when you have the app open. This allows you to get detailed information about your heart rate at specific times, and view trends and graphs over time. Philips has announced the launch of IntelliSpace Epidemiology, a solution that optimizes the detection of healthcare-associated infections (HAIs) in the hospital.HAIs are a critical threat to patient safety and health system costs, resulting in higher mortality rates each year than breast cancer and prostate cancer combined and costing the U.S. healthcare system about $35 billion. IntelliSpace Epidemiology is the only decision-support solution in the U.S. that combines clinical informatics and genomic sequencing information from pathogenic bacteria, aiming to efficiently assist infection control prevention teams in identifying infection transmissions. Imprivata, today introduced Imprivata Proximity Aware, healthcare’s only solution that leverages the power of Bluetooth to secure protected health information (PHI) on shared workstations without disrupting clinical workflow. Locking and unlocking workstations are based on the proximity of the user’s mobile device, which removes the burden of passwords and disruptive inactivity timeouts. Using Bluetooth Low Energy connectivity, Imprivata Proximity Aware monitors for the Imprivata ID mobile application running on a user’s mobile device. As long as the user’s mobile device is detected, the user’s workstation will remain unlocked and the session will remain open, in the event of perceived inactivity. PursueCare, a technology-enabled health services startup launches a first-of-its-kind telehealth opioid addiction treatment network available to patients through an iOS/Android mobile app, tablet, or computer. In addition to the platform launch, PursueCare has raised a growth capital round investment from a group of investors, led by WRD Capital and Starboard Capital Partners, and is solidifying commitments for additional funding. Today, Sansoro Health announces the addition of support for FHIR resources available from EHR vendors to its already robust universal API platform, Emissary, enabling developers to further the reach and impact of new innovations and apps. Currently, Emissary allows health IT innovators to develop applications and products that use a consistent comprehensive API offered by Sansoro’s platform, positioning developers to innovate and evolve their solutions without integration roadblocks. Medicomp Systems, a physician-driven provider of clinically contextual patient data solutions, today announced a new solution to monitor and present hierarchical condition codes (HCCs) at the point of care. This functionality powered by Medicomp’s Quippe Clinical Data Engine and Quippe clinical documentation solutions helps providers participating in Medicare Advantage plans to automate their Risk Adjustment Factor (RAF) scoring to ensure accurate reimbursement. Babyscripts, Inc., a virtual care platform for obstetrics announced that they have expanded their partnership with George Washington University Medical Faculty Associates (GW MFA), the largest independent physician practice in the D.C. Metro area and one of the first providers in the United States to radically reevaluate pregnancy care through technology. Their partnership will increase access to care across all health populations, regardless of socioeconomic status. Veradigm (an Allscripts business) and NextGen Healthcare have announced the signing of a long-term agreement designed to streamline workflow for healthcare provider clients and facilitate data sharing with a variety of key stakeholders, including health plans, life insurance companies, and research organizations. Microsoft announced the launch of Azure API for FHIR that offers the exchange of data via FHIR API and a managed Platform as a Service (PaaS) offering in Azure, designed for management and persistence of PHI data in the native FHIR format. The FHIR API and data store enables you to securely connect and interact with any system that utilizes FHIR APIs, and Microsoft takes on the operations, maintenance, updates and compliance requirements in the PaaS offering, so you can free up you’re own operational and development resources. The National Committee for Quality Assurance (NCQA) invites the public to comment on proposed updates to the Healthcare Effectiveness Data and Information Set (HEDIS) measures. This is an opportunity for health plans, purchasers, consumers, and other stakeholders to weigh in on the relevance, scientific soundness and feasibility of new and revised measures and to provide input on HEDIS guidelines. MediQuant, an Ohio-based provider of enterprise active archiving solutions to hospitals and health systems, announced today that it has executed a purchase contract for HeF Solutions, a healthcare technology firm specializing in electronic medical records (EMR) data conversions, legacy data archival and technical services that support needed access to clinical records. The acquisition of HeF Solutions deepens MediQuant’s data conversion services, expanding the tools, resources and capabilities offered to clients who require Extract, Transform and Load (ETL) services to manage a shift between EMR systems. Global Healthcare Exchange, LLC(GHX) has announced its annual list of the healthcare provider organizations being recognized as the 2018 GHX “Best 50” supply chains in North America for their work in improving operational performance and driving down costs through supply chain automation. 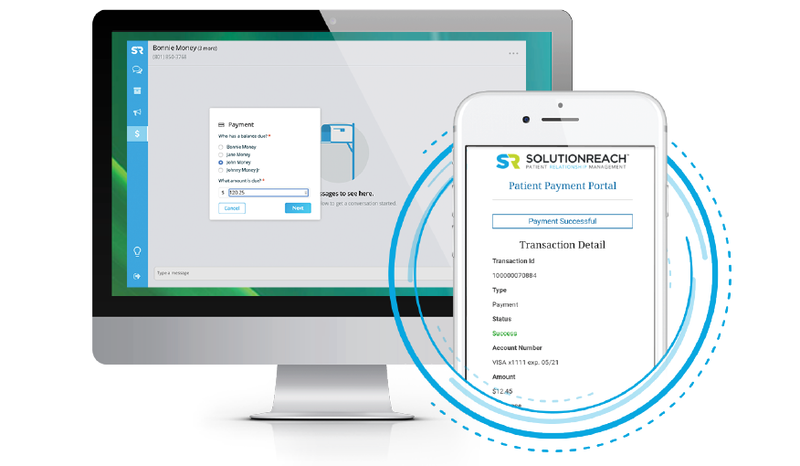 Solutionreach, a patient relationship management (PRM) solutions, announced today the availability of SR Pay, a solution that will enable mobile payments. Using SR Pay, healthcare organizations can collect patient balances much faster than they can use a traditional 20 to 30-day paper statement cycle where it takes an average of three statements to get paid. Balance notices can be sent directly to a patient’s phone as soon as the billing office knows the patient due amount. The text message includes a direct link for patients to access a secure payment screen and complete the transaction on their smartphone using a debit, credit, HSA, or FSA card. Then, like any credit card transaction, the money is deposited in the organization’s bank account. A new study published in HIMSS’ peer-reviewed Online Journal of Nursing Informatics concludes that continuous clinical surveillance possesses seven simultaneous attributes that make it distinct, in both theory and practice, from patient monitoring. Today at HIMSS, Cynerio is announcing it’s latest Cisco ISE certification to protect Patient Safety. Healthcare organizations continue to be bombarded with cyberattacks, and the problem will only escalate with the highly publicized payoffs to hackers in response to ransomware attacks. This Cynerio partnership with Cisco, news below, enables healthcare organizations to protect their weakest link – the connected medical devices and Internet of Medical Things (IoMT). eMDs has officially launched Aria — a new health services line that uses Aprima technology to improve RCM with faster claims reporting through automation. Aria Health Services will provide users with the scale and extensive expertise that come from combining the best of eMDs’ and Aprima’s award-winning service lines. Uniquely, Aria Health Services offers practices technology flexibility. Clients can use eMDs’ proprietary technology, or the services can be seamlessly integrated with other electronic health records (EHR) and practice management (PM) systems. Trialbee, a technology provider in patient matching and engagement announces two commercial milestones with two of the top 10 pharma companies. Trialbee has been selected to accelerate the clinical development of new drugs through its patient recruitment platform. The two partnerships also include deployment of Trialbee’s engagement application to ensure patient retention and study procedure compliance. Masimo launches Doctella, a home-based patient engagement, and remote care automation platform. Doctella provides a complete end-to-end home care solution, allowing clinicians to create and manage treatment plans, patient schedules, and patient data flow using automated, customizable CarePrograms™, home device data aggregation, and a web-based provider dashboard.